- Herbal formula for indigestion. 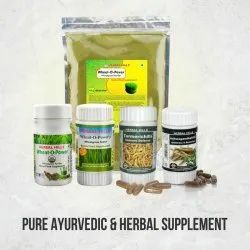 With the valuable assistance of skilled team of professionals, we are engaged in offering an extensive range of high-quality Herbal Dietary Supplements. Certified Organic and processed at the highest quality standards from farm to powder. Decades of experience and strong partnerships around the world. Feel the Tru Herb difference in all of your Organic ingredients needs. It is not enough to give nutrients to boys and girls. most important is to cure their digestion and absorption of nutrients in the body. Rajah Healthy Acres Pvt. Ltd.
Arthro Herbal Capsule for Joint Pain is very effective formula for all type of joint pain and arthritis related disorders. It is 100% natural supplement and free from any side effects.